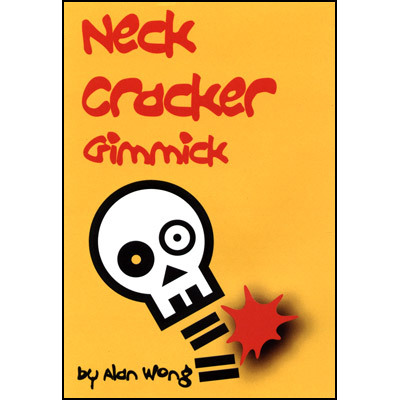 Neck Cracker by Alan Wong. This gimmick will produce a loud crushing sound as if you have cracked your (or someone's) neck. Just walk up to someone with your neck tilted to one side and wait till they ask you if there is something wrong with your neck or you tell the person you are having a stiff neck today. As you attempt to "adjust" your (or someones) neck the gimmick produces a bone crushing sound! You can pretend to crack your neck, elbow, and knuckles with this gimmick. A good addition to use with the arm twisting illusion to crack your joints before or after the illusion.